FOX's hit show "KITCHEN NIGHTMARES"
wants to hear from Pittsburgh! Is your restaurant struggling and in need of Gordon’s expertise? How many more bad reviews can you take? Is your staff sabotaging your restaurant? Is your food lacking flair? If you want CHEF GORDON RAMSAY to come into your establishment to troubleshoot your problems and try to get you back on the road to success… Contact us NOW!!! Last nigh I was going through my fridge and needed to clean out the veggies I had from last week.... 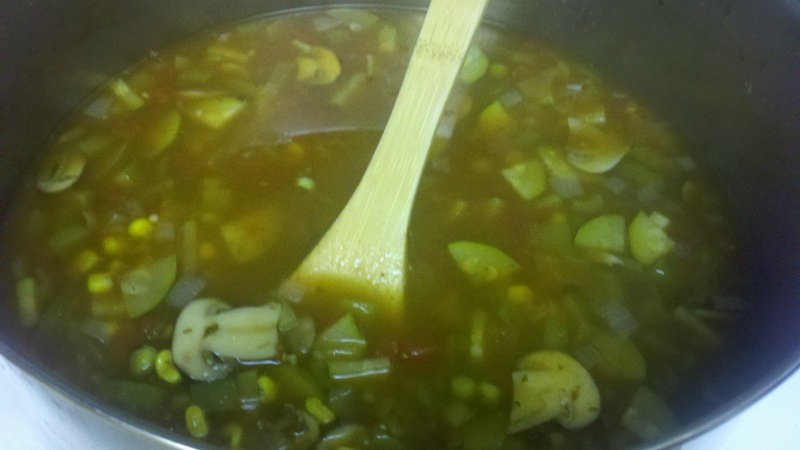 So I found a recipe online for a Mexican Vegetable Soup. Believe it or not, I've NEVER made soup!! Place all of the ingredients in a large pot, cover and bring to a boil over high heat. Reduce heat to low and simmer partly covered for 10 minutes. And there you have it! It is pretty filling and has a nice kick to it! :) You'll get about 12 one cup servings. Last night we didn't feel like eating leftovers and the weather was nice out. So Matt and I decided to go out to eat. 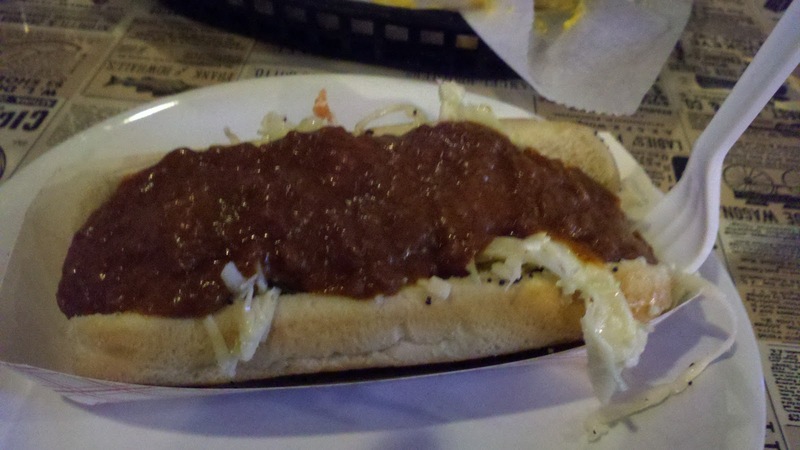 We went to D'z Six Pax & Dogz in Monroeville. D'z is located in an old Pizza Hut and has a big beer selection. 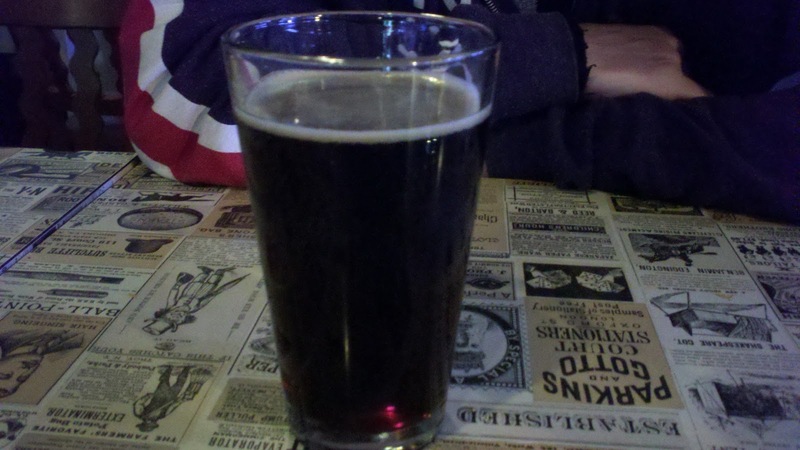 For drinks Matt Ordered a Helltown Mischievous Brown Ale. The Ale had a very chocolate taste to it. I'm not big on dark beers but this one was pretty good. 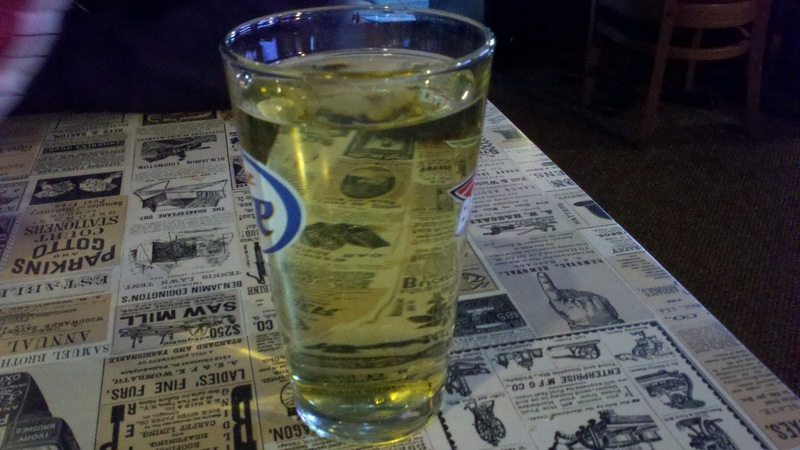 I ordered a Crispin Hard Cider. The cider was really light compared to Woodchuck, which is what I normally drink. It is really smooth but I don't think I am quite sold on it. Might have to give it another try. For a starter we ordered Nacho's with Jalapenos. 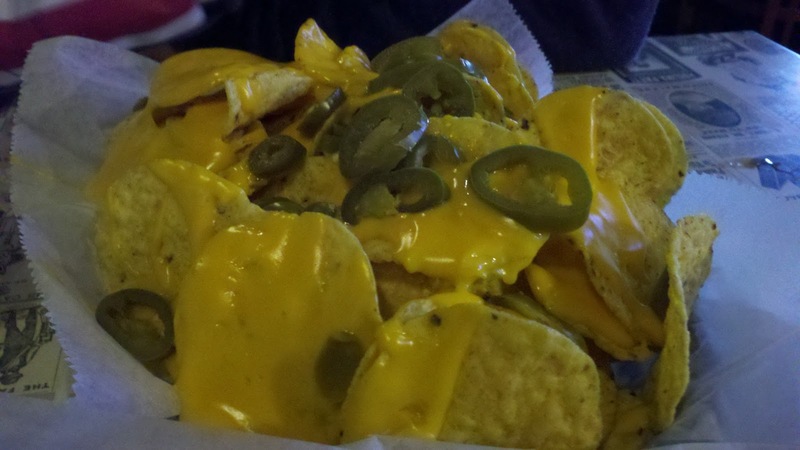 Nothing special about them, just your typical bar food nachos. However the cheese was kind of cold when it arrived at our table. For our entrees Matt ordered the Bacon Cheese Dogz. All of their hot dogs come with poppy seed buns, which was a plus in Matt's book since he loves anything with poppy seeds. He said they were really good and was something that he would order again and loved that the dogs had a nice crunch when you bit into them. I felt like being adventurous and ordered the Mason Dixon dog, which had coleslaw and chilli on it. The chilli had a nice little kick to it and the slaw gave the dog a nice extra crunch to it. Slaw and chilli are two things that really don't sound like they go well, but surprisingly they did! One thing I did find odd was the garage doors they have. While we were waiting for our check one of the employees starts to pull down the garage doors which separated the bar from the dinning area. The dining area felt really small after they did that, since it is not too big of a place to begin with. Over all D'z is a go in my book. The wait staff was nice and the food was good. 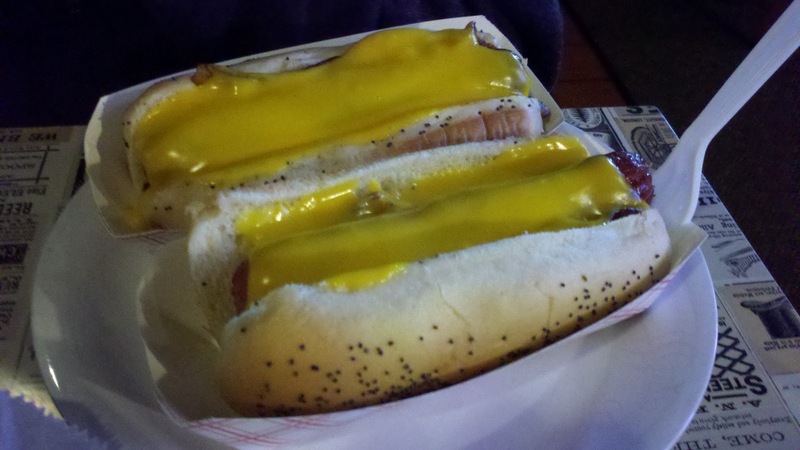 If you're craving a dog and in Monroeville, give D'z a try! 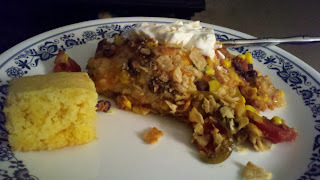 Tonight I made Mexican Lasagna but mixed it up a little. I added a green pepper, an onion, pickled jalapenos and refried beans with taco seasoning mixed in. I must say the refried bean added to it makes it MUCH better! It gives it a creamyness and just hits the spot. The cornbread was made by Matt's grandma and I thought it would be a good pairing with dinner tonight.